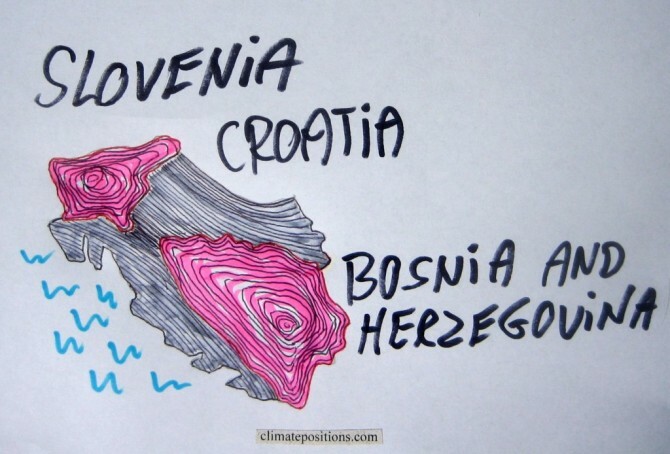 Slovenia, Croatia and Bosnia and Herzegovina are ranked 26th, 48th and 51st among 147 countries on the Climate Debt List in ClimatePositions (see the ‘ranking’). 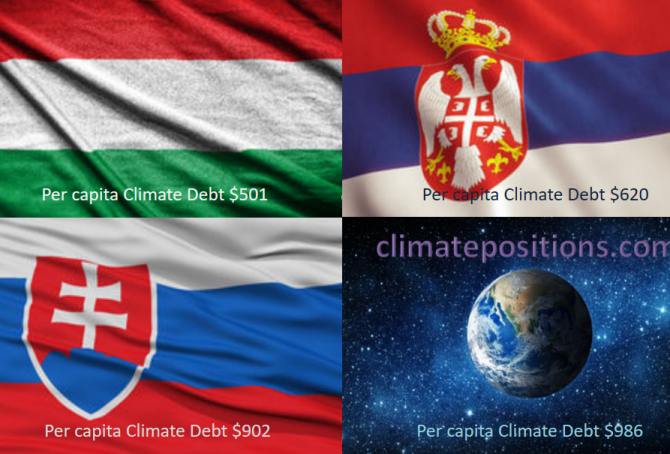 Their updated Climate Debts are respectively $1,660, $515 and $432 per capita. 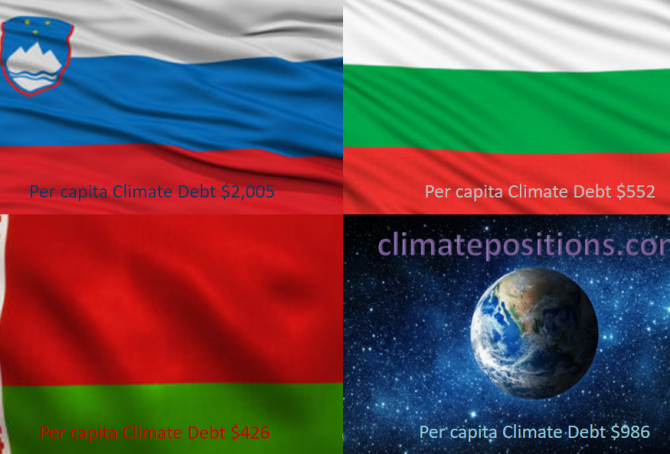 The following examines the GDP(ppp-$), CO2 Emissions from fossil fuels, Forest Cover, Nuclear Power and Relative Climate Debt over time.